Happy Born To Run 40th Anniversary Day! Forty years ago today, Bruce Springsteen‘s third album, Born To Run, was released, an epic masterpiece born of desperation. 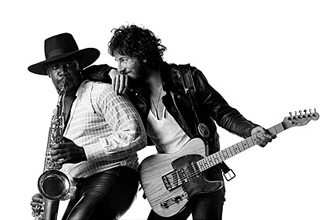 I could go on and on about my love for Springsteen and Born To Run in particular, but, the thing is, I’ve already done so, in June 2011, on the occasion of the sad loss of E-Street Band saxophonist Clarence Clemons. When I learned on Saturday of the passing of Clarence “Big Man” Clemons, the great saxophonist with Bruce Springsteen’s E Street Band, I was filled with deep sadness. You can’t grow up in New Jersey, like I did, when I did, and not have a strong connection to Bruce Springsteen. Oh, you might not be the biggest fan, you might even hate the guy and his music, but he’s a New Jersey icon, the airwaves were saturated with him, and in the summer before I entered high school, Carol Miller, a DJ at WPLJ in New York City, waged a campaign to make Springsteen’s Born To Run the official state song of New Jersey. 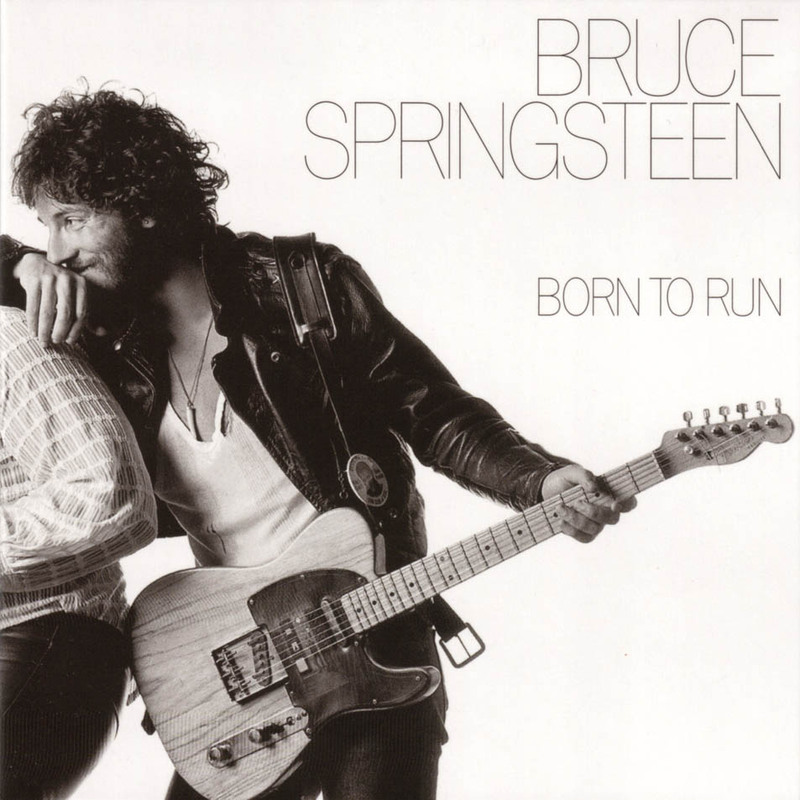 Born To Run was one of the very first albums I ever owned, and I can, without doubt or second guessing, credit that record for having inspired in me a deep passion for music, to the point where music became as important to me as food, water, even air. Springsteen’s songs were my window on the real world outside my fake suburban wasteland of a hometown; a world full of terrible and beautiful things, scary things, adventurous things, romantic things, tragic things. And Clarence, well, his tenor sax was like the icing on the cake of one of the greatest bands in Rock & Roll history. Guitar-centric groups were a dime a dozen, but the E Street Band had its own direct connection to John Coltrane and Dexter Gordon and Lester Young and Coleman Hawkins; Clarence evoked the deep New York City Jazz and Rhythm & Blues traditions. And you know, the warmth of the friendship between Bruce and The Big Man — a friendship made mythic by the wonderfully embellished stories of their meeting, stories that Bruce would tell with drama and humor during concerts — modeled for me interracial harmony without ever framing it as such, as it should be, as if it is the most natural thing in the world for a white man and a black man to be close. When another longtime E Street Band member, keyboardist Danny Federici, died three years ago, it was sad, and it took a while to accept that Springsteen had to replace him and carry on. And yet it is nearly impossible to imagine an E Street Band without Clarence. Whether Bruce will keep the band together, reinvent it, or form an all-new band remains to be seen. In the meantime, it feels like the only fitting way to end this post is with Springsteen’s touching public statement on the loss of his friend, and a video of a song that contains Clarence’s most notable solo, a nearly 3-minute, achingly beautiful melody in the operatic closer to Born To Run: Jungleland. 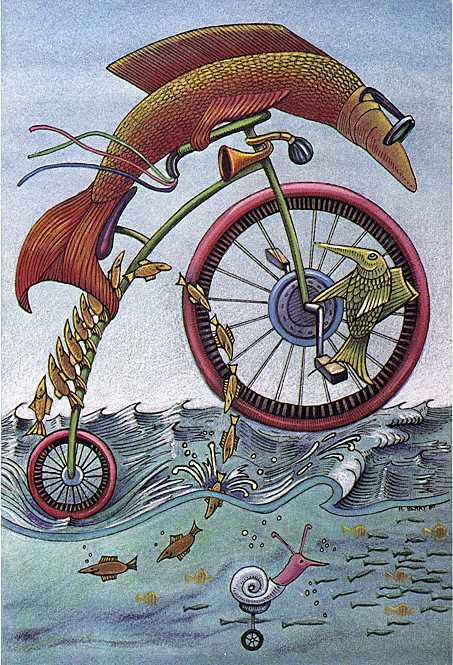 Fish & Bicycles Takes A Mini-Vacation! Well folks, it’s time for me to take a little break! I’m flying down to Los Angeles, CA today, a city I lived in from 1988 to 1993, a city that, as I discovered, was not a good fit for me, but a city where I lived with a buddy I’ve been friends with since grade school back in New Jersey, a friend who was the best man at my wedding, a friend who still lives there, and I’m way overdue to pay him a visit. Icing on the cake, two other New Jersey friends we’ve kept in touch with all these years, friends we hung out with through high school and college, will be joining us, one flying in from Maine, the other driving up from San Diego. It’s a strange, and I’d say unfortunate, thing that it is so commonplace in our culture to move away from close friends with whom we spent such formative years, chasing careers and some vague and non-guaranteed future happiness. It’s like an amputation. Those friends were a part of me, and there’s a part of me that doesn’t seem to exist when I’m not with them. Oh, we get on with our lives, and the phantom pains subside, and if we don’t make an effort the friendships die and fade away. We four, and a handful of other friends of that vintage, haven’t let that happen, but it seems an awful shame that for many it does. I’m SO looking forward to seeing these people who are so dear to me, and feeling whole again. I know I’m terribly late, chiming in on the devastating Super Storm Sandy that has, as of this writing, claimed 110 lives and severely damaged or destroyed thousands of homes, buildings, and infrastructure. The reason: Having been born and raised in the New York-New Jersey area, I really can’t get my head around the images I’ve been seeing online. 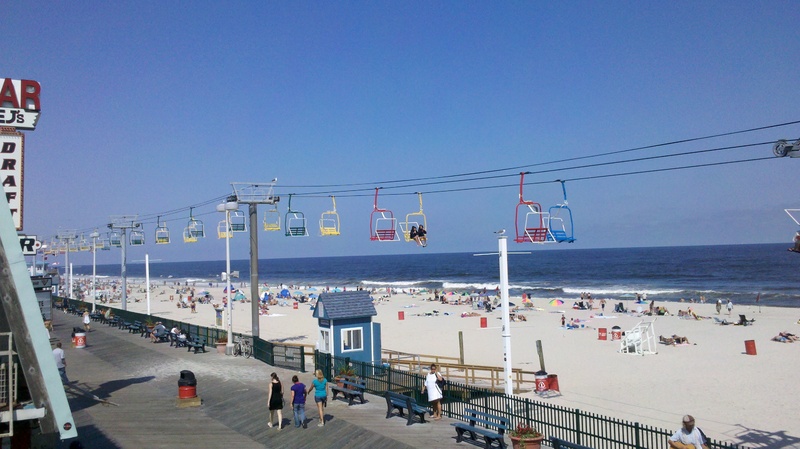 My most cherished memories of childhood through young adulthood reside in New York City and the Jersey Shore. There is nothing cliché about hanging out on the beach, walking the boardwalk, nursing a sunburn, eating junk food, gawking longingly at the bikini beauties, and then driving home with the windows down and Bruce Springsteen blasting out into the summer night. No, it’s not cliché. It is quintessence, and I was in heaven. 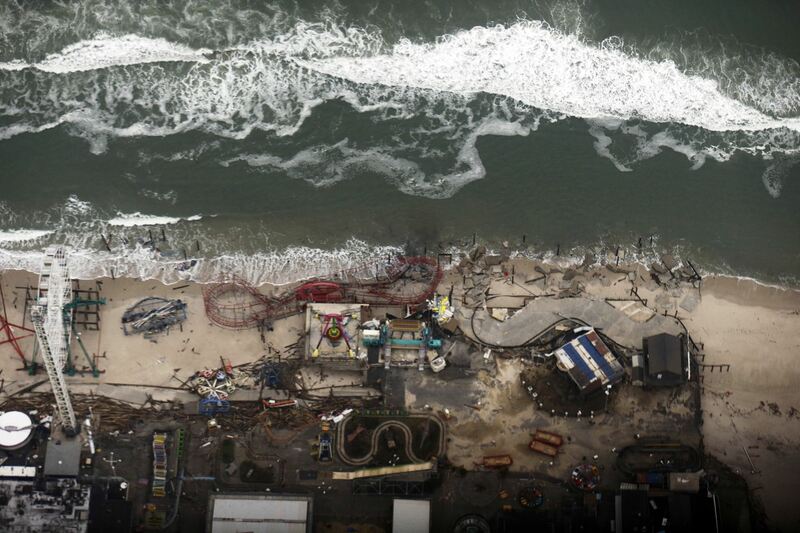 And so, my thoughts remain with the millions touched by Sandy, from annoying inconvenient interruptions to daily routines to the displaced, injured, dead and mourning. I encourage everyone who might read this to consider a donation to the Red Cross, no matter how small. Every little bit helps. I’ve written before of my love of Springsteen, a love born from having grown up in New Jersey, where his music was like the state soundtrack. And while I still love him so dearly, he lost me a little in the late 1980s, as the music he started producing and my musical tastes diverged, and now I have to be honest and say that I don’t listen to anything he released after 1982’s Nebraska. Springsteen released both of his first two albums in 1973, the two albums combined have a running time of only 84 minutes, meaning that if Springsteen debuted these days it could have nearly been one album…and it would be a classic. But that was nearly 40 years ago, making the following performance all the more impressive, still edgy and rockin’ and full of soul. Like many bloggers, I tend to write mostly off-the-cuff. As a result of that approach, I often post stuff that hasn’t been fully processed and analyzed, and occasionally a post lingers in my mind because I have doubts about assertions or conclusions or emotional reactions I’ve expressed. However, I’m committed to this method, as I’ve come to believe that spontaneity is an essential part of the creative process, and self-censorship can be the death of spontaneity. Besides, I can always follow up with an additional entry, to build on what I wrote initially, or I can just retract it altogether. To illustrate, almost a year ago I wrote about my mixed feelings concerning the grand opening ceremony for Dubai’s Burj Khalifa, the tallest building in the world. There were a few things that were unsettling to me about the event, but one thing had nothing to do with the structure itself: The fireworks display (see video embedded in my post). Am I crazy to think about 9/11 as I see explosions and smoke coming out of a very tall building? Anyway, I posited something in that blog entry that I was actually uncomfortable with when I posted it, but I put it out there, only to have said lingering doubts nag at me for days and days, until the entry disappeared from the Home page as I moved on to other topics. Despite my non-adversarial attitude towards Islam, the design of that fireworks display, to me, so uncannily evokes 9/11 that I can’t help wondering, watching that video, to what extent this building was built, at least partly, to exude an air of superiority, flaunting their achievement, as the smoke from the fireworks clears and there it is, still standing. 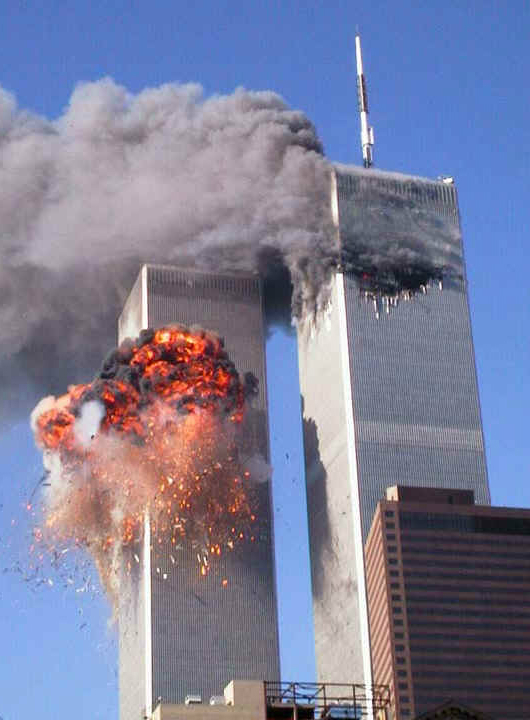 While I have come to reject the notion that evoking 9/11 was the intent of the promoters, I still don’t think I was wrong to think of 9/11 when I watched the video of the fireworks display. I was raised in New Jersey, a short bus or train ride from New York City, I’d been to the top of the World Trade Center a number of times throughout my childhood, and one of the fondest memories I have is riding on the Staten Island Ferry as it approached lower Manhattan, the skyscrapers impossibly rising from that sliver of an island, most prominent of which were the Twin Towers, growing larger and larger the closer we sailed to the terminal. The trauma of 9/11 manifested in a wide variety of ways, severity in the case of the families of the victims and the survivors, incredibly disturbing for New Yorkers, and deep, deep sadness for people like me, for whom the World Trade Center was an indelible icon. I do want to believe the architects when they say that they had no intention of evoking 9/11 when they designed this building, AND I think they’ve done the right thing in apologizing for how the design was disturbing to some people. However, it does strike me as somewhat alarming that anyone could NOT have thought about 9/11 when they came up with this design. How could they be so clueless as to not see the connection? Or, alternately, how could they be so utterly insensitive to have seen the connection and yet decide to move forward with it. 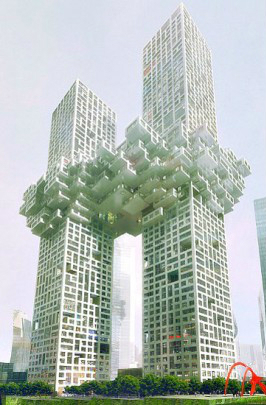 The fact that it was a team of people, not just one architect, who worked on this and then green-lighted the release of the image makes it all the more difficult to accept. But all that said, 9/11 didn’t effect everyone as much as it affected me. I never look at a skyscraper without thinking about it, and sadly I don’t think that will ever change. It truly is no exaggeration for me to say that the newspaper alternatively known as the U.S. Paper of Record, The Gray Lady, purveyor of “All the News That’s Fit to Print,” or simply The New York Times, changed my life in a very dramatic way. Sadly, I don’t remember exactly who turned me on to reading the Times, but I do know that it dates back to my young adulthood in New Jersey, specifically my time as a student at Rutgers University. And while I don’t remember the person, curiously I do remember a passionate endorsement impressing on me how important it is to know what’s going on in the news, and, additionally, that the winner of 104 Pulitzer Prizes was also a window on world culture, with broad coverage of science, the arts, travel, etc. As a consequence, in a very short period of time, I was transformed from someone who was woefully ignorant and disengaged with national and global events into someone who could spend most of his free time on Sundays immersed in the voluminous Sunday edition, including the always eagerly anticipated Magazine section. Now, while I don’t often read the paper edition anymore, I do read at least some of their digital content pretty much every day, and it’s all over the news sites and blogs that this coming Monday the Times will be implementing a long-anticipated subscription service for their website and iPhone/iPodTouch/iPad apps. Whether I think it’s worth the cost or not is hard to say, I’m on the fence, but I have to be honest and say that I don’t see myself dishing out $15/month or $180/year for unlimited access to the website via computer and my iPod Touch, even though the paper edition is roughly the same price. In the meantime, I’ll have to settle for the 20 free articles per month that the Times will continue to offer, and I might resort to the various workarounds that have been circulating. Heard a great piece on NPR last night celebrating the 60th birthday of the Fender Telecaster, the first great solid-body electric guitar, a guitar with a beloved and iconic sound that can be heard in volumes, and volumes of Country, Blues, R&B, Soul, Jazz, and Rock & Roll music. 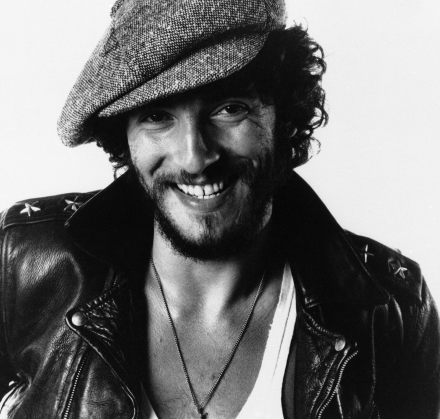 Having grown up in New Jersey, naturally the first Tele player that I became familiar with was Bruce Springsteen. And yet, over the years, I would eventually hear that bendy, twangy, and even dirty and crunchy Fender as played by many of the masters of the instrument listed here. Choosing one YouTube clip to represent the quintessential sound of the Tele proved to be impossible, since, due to the variety of genres, techniques, or methods of amplification involved, the Tele’s voice cannot be fully heard from one player.